La Quinta Cove Home!! 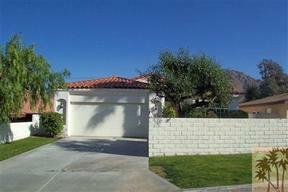 3 bedroom 2 bathroom Great Spanish style home located in La Quinta Cove. Magnificent mountain views from the gated front courtyard. 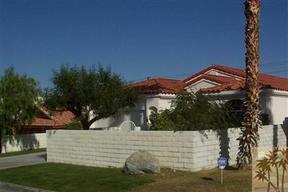 Entire property is surrounded by a block wall. 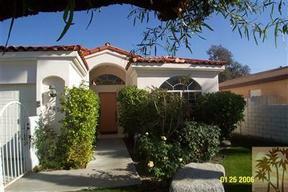 Exterior has tile roof and distinctive Santa Barbara finish stucco. 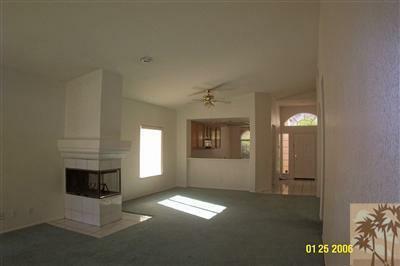 Cathedral ceilings and a 2 sided fire place in the great room. 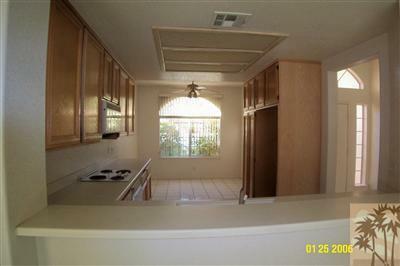 Each of the 3 bedroom features a walk-in closet and ceiling fans. 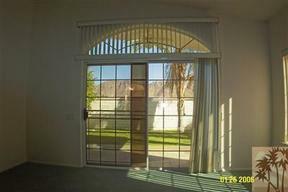 The master bedroom has access to the rear yard, and master suite has separate tub/shower. The kitchen features corian counter, family style dining and is open to the great room. 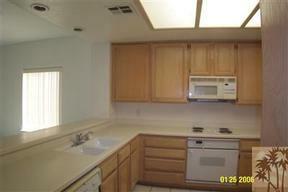 Another dining area is located adjacent to the breakfast bar. 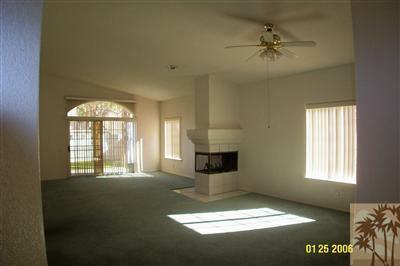 Attached 2 car garage offers direct access to the home.